I've been a customer for years and the services remain outstanding. Superb customer service. 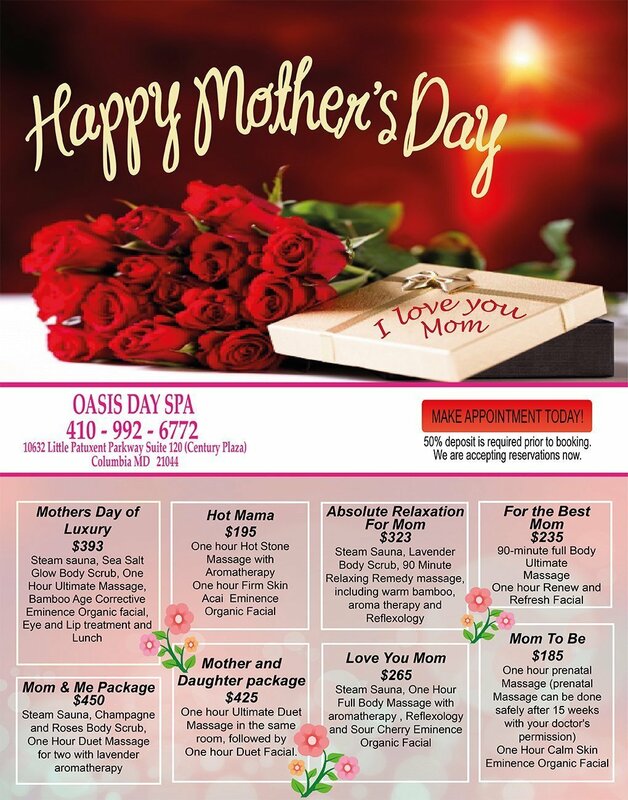 If you want the best deep tissue body massage, and a facial that makes your skin glow go to Oasis Day Spa! Had a best Facial they use Eminence Products I love the way my skin feels Thanks Oasis!! If i could give more stars, I would. Hands down the best treatment I ever had . Inna did amazing job with deep tissue massage and Sauna is incrediable!! wonderful service. I left the spa feeling beautiful, and relaxed. Will be coming back next mother's day! Best place!! Amazing Therapist !! Must try there Steam Sauna room worth it !! Best massage and Facial ever SUPERB!! Loved organic products !! It was my first time going to Oasis Day Spa & it was absolutely amazing. The room & the bed were heated. The light music playing in the background was so soothing. I'll be going back soon! I have been coming here for several years now. Inna is the best there is! No need to look anywhere else!